Words with JAM: Who Needs an Editor? Patricia Jones, author, and Mary Rensten, editor, talk candidly about their Author/Editor relationship. PATRICIA: When the email arrived there was already champagne in the crystal flutes as a family celebration was in full flow. My glass was refilled and an extra toast proposed: to the success of Threads of Life, my debut novel, which had just been accepted by SCRIPTORA – the publishing branch of the Society of Women Writers & Journalists. MARY: Yes, definitely time for celebration! It was three years since Patricia had sent me the original manuscript and a quick look through the 360+pages and the list of 47 characters had told me straight away, that if this novel - about the creation of a small town's Heritage Tapestry and the interwoven stories of the families whose women stitched it - was any good, then Patricia and I could be in for a long haul ... something she did not appreciate at the time. PATRICIA: Although I had read, re-read, edited and re-edited Threads in the weeks before submitting it to SCRIPTORA in 2015 there followed months of emails and conversations with Mary, followed by critiques – mostly constructive - from Professional Readers, then re-writes and more phone calls and emails resulting in further re-writes. PATRICIA: At times, as the writer who has laboured and sweated, and even had the odd sleepless night, shaping the plot, creating and developing the characters and the novel’s setting until they have become as real as the local high street, the suggestions for alterations to the manuscript can seem rather harsh. MARY: Of course they can, and I fully understand, but if the writer wants the book to be published, these things have to be done! PATRICIA: I had devised a kind of who’s-who for the various families as an aide memoire for the prospective readers. Mary wasn’t happy with this, and advised me, in the nicest possible way, to scrap it. This disappointed me; readers within my local writers’ group had appreciated it as it helped them to get to know the characters and their relationships with each other. However, when Mary mentioned the who’s-who to some of her writing friends they approved; it was back in at the start of Threads! MARY: Yes, I was wrong there. A novel with numerous characters in family groupings does need a cast list. In the end Patricia and I settled for a shorter list, which excluded most of her minor characters. PATRICIA: Your characters become real friends - even the more dubious or dodgy ones - and you understand and feel for them and go along with their foibles, and having to part with them can be extremely harrying ... and at times maddening and upsetting. 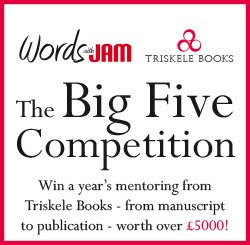 An editor is there to advise and guide the writer, especially with a debut novel, but it was with a feeling of great sadness and a real sense of loss when I was asked to 'lose' a whole family including a newborn baby. And then there was Sheila, a character who was both forthright and practical, but also had to go. The problem was that I needed a down-to-earth character to sort out problems with the stitching and rein in Madam Chairwoman when her ego and her grandiose ideas for fundraising for the Heritage Tapestry were way beyond the committee’s budget. Who was going to fill this function now Sheila had been scrapped? Luckily a rather prissy, headmistressy character stepped forward and to my surprise she turned out to deal with her new role rather well. MARY: I know that hurt, as did losing several church organists, and your very detailed committee meetings! Also, at the beginning, there was a bit too much history of Wainbridge, your fictional town; it was holding up the telling of the increasingly interesting story. PATRICIA: Nick Gott, an artist friend, created the cover and it was a useful learning curve as he liaised with Mary and Chris the printer. I had shown the proposed back cover design, which included a heron and a sharp needle, to a friend and, luckily, she spotted something that none of us, including Mary, had noticed. Let us say, that without her comment the heron on the back of Threads would have had a painful and surprised expression on its face! MARY: It's always good to have another pair of eyes looking at a work in progress. 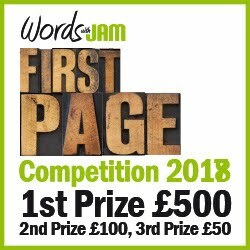 PATRICIA: One thing that did help me was having the first chapter of Threads read aloud by a professional actor at one of the SWWJ’s drama workshops. I got a real feel of the book's opening and the relationship between the different characters. The response to the chapter from the other writers and actors was reassuring and increased my confidence and pleasure in the novel. MARY: Oh yes, always try to have your dialogue read aloud, even if it's only you doing it into a recording machine! It helps you to get the speech rhythms right. 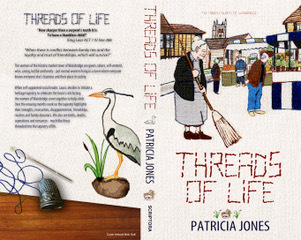 PATRICIA: Threads of Life was published on 29th March 2018 and so far the comments and reviews have been extremely favourable. As an absolute novice, knowing nothing about the procedure of turning a manuscript into a fully-fledged book, I am more than grateful for all the work and dedication Mary put into Threads, as without her it would be just another document on my computer, rather than, as it is now, both an eBook and a paperback for others to enjoy. MARY: I am delighted by the five star reviews Patricia's first novel is receiving. She is planning a sequel - her well-drawn characters warrant it - which I look forward to reading. Want to read more about this author and editor? Go to swwj.co.uk and follow the links to SCRIPTORA and Members.